Authorities are investigating mass graves in Thailand that contained dozens of bodies. The bodies are believed to be mainly Rohingya Muslims from western Myanmar who come to Thailand to find work and escape religious prosecution, according to Reuters. 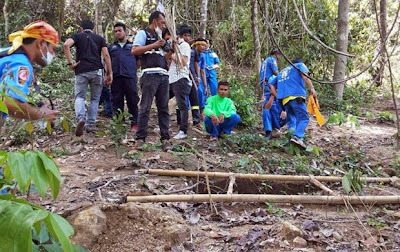 Local reports showed dozens of graves in a remote jungle in southern Thailand. Broadcasters also showed dozens of narrow coffins lined up containing unidentified human remains. 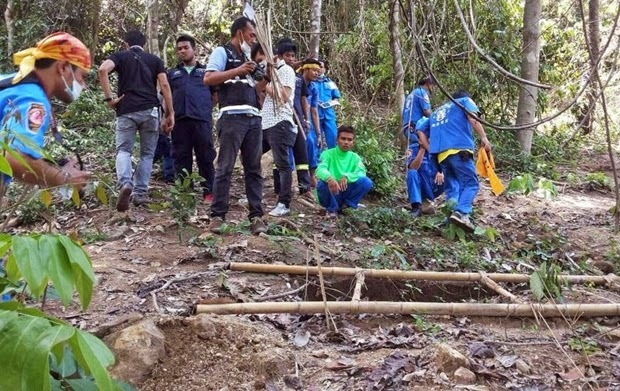 Other bodies were found out in the open near the area, some covered with just a blanket, in Songkhia province close to the Malaysian border, according to Human Rights Watch. "There are at least 30 graves that have been place marked. We exhumed four bodies today and will continue to exhume bodies," Anuchon told Reuters. He said the mass grave was the first of its kind in Thailand. Early police reports indicate the bodies were like those of Rohingya Muslims, who were being trafficked over the Thai border from Myanmar, and who died from disease or starvation according to the BBC. One very ill survivor was also found and taken to a hospital. "Trafficking of persons in Thailand has long been out of control, something that senior officials have admitted to Human Rights Watch and others," said Brad Adams, Asia director of Human Rights Watch. "The finding of a mass grave at a trafficking camp sadly comes as little surprise. The long involvement of Thai officials in trafficking means that an independent investigation with United Nations involvement is necessary to uncover the truth and hold those responsible to account." Thailand has been critizcized by the international community before for not taking more steps to curb human trafficking. Last year the US State Department listed Thailand on the lowest tier of the Trafficking in Persons (TIP) Report, according to Reuters. Rohingya muslims have faced violence in Myanmar previously after clashes with Buddhists left 200 people dead, according to the BBC. Other violence has affected the group in the years since.